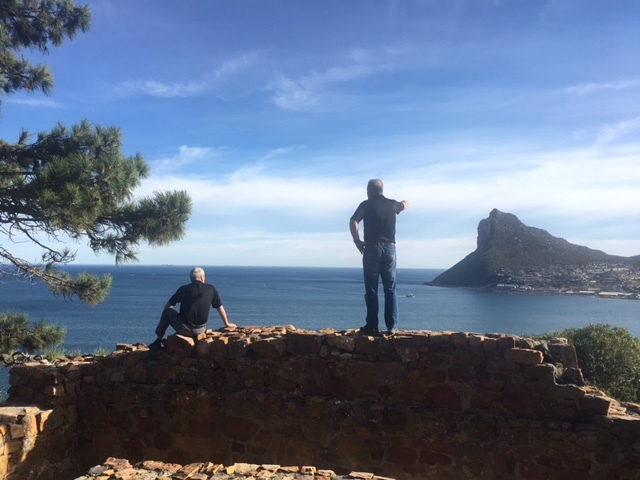 In the words of director, Malcolm McRoberts, “South Africa is ‘first-world/ third-world’.” You can see both worlds in the space of a few miles. We will be having “first-world/third world” campers on Tuesday. Some of our campers are very poor and will not have seen 3 meals in a day and some of our campers will be only slightly behind teens in America as far as having “things” and being their own version of “with it.” You gotta love the great equalizer we call “camp.” It looks like we’ll have around 65 campers for the week. Of the groups, a few of them will have mostly unsaved and, as you might expect, several groups are regular church kids. One of our main responsibilities, as CA staff in this particular ministry, will be to meld together a program staff to give stability to the camp. 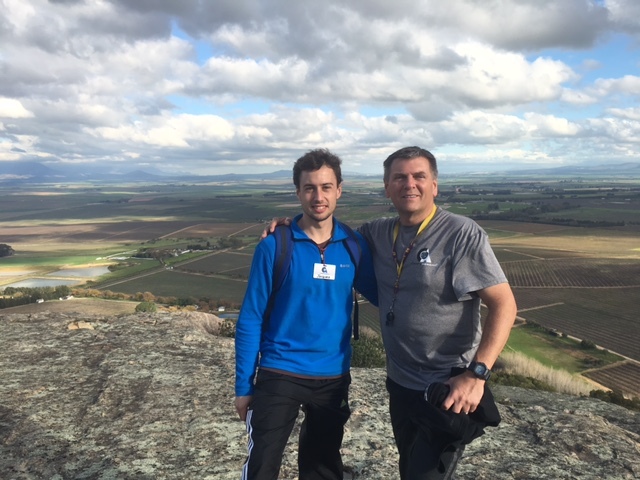 In the two years that Dan has been here (1 survey trip and 1 regular staff training/camp cycle) there has not been a whole lot of continuity. We are praying that a few of the ones who have come for training this year will be around to help for at least a few years. There are no fulltime staff members connected with the camp. All of the staff are volunteers and tentmakers. The facilities are first class. The scenery is breathtaking. 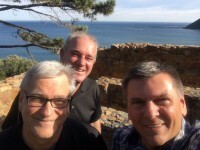 We just need “men (and ladies) to match our mountains!” There are not Bible colleges to draw staff from, so volunteers from the churches will come to counsel. Most can come for only a week and it is hoped that most of them can come for the staff training days (Friday-Monday). We are expecting around 50 for the training. The first camp will go Tuesday-Saturday. 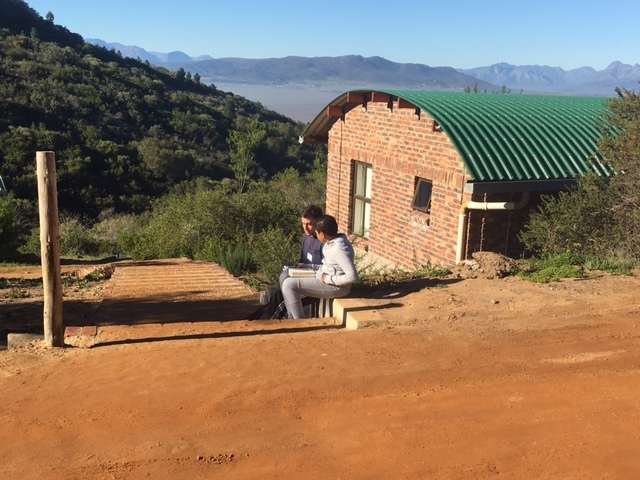 Staff training has been completed at Paardeberg Mountain Retreat in South Africa, which signals the beginning of their 2016 camping season. 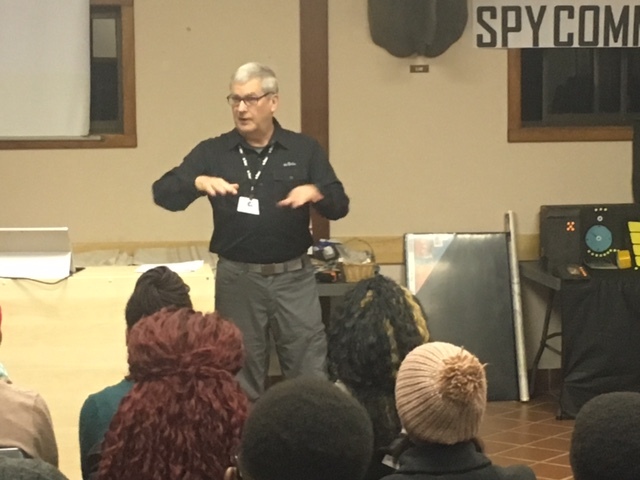 Fifty young adults ranging in age from 17-28 attended the 4-day training session to prepare for the three weeks of winter camp. Our first campers come in on the morrow. The diversity among the camper population, as well as the staff is simply amazing! We have white, black and Afrikaans’ counselors. 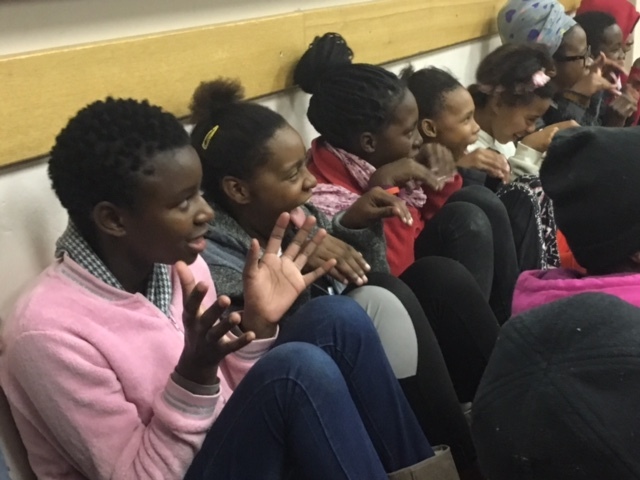 It is winter season in South Africa and the youth are on “holiday” from school, making it a perfect time for camp. The weather is mostly sunny with temps in what feels like the mid-60’s. It can be as low as the 40’s (or even high 30’s), which for these young people, who see summer temperatures in the 90’s and 100’s, this is like an arctic blast! The kids will be bundled up well and have to be lured outside for games. 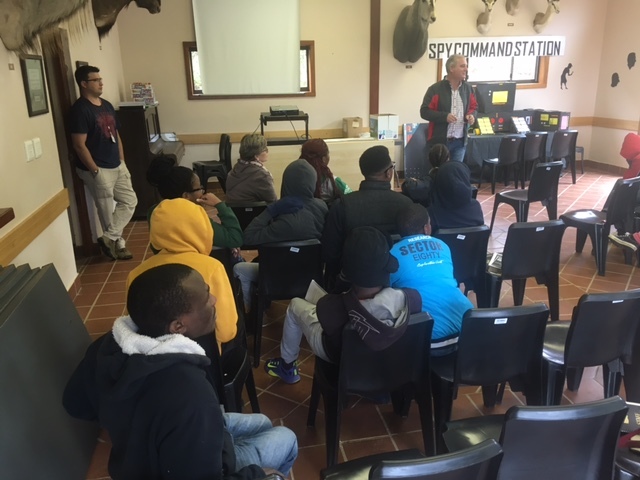 Though the Dutch Reformed Church dominates the religious landscape with Charismatic churches much in evidence as well, conservative Christianity has an amazing opportunity before it with many good, but small independent Baptist churches and one very, beautiful campsite–Paardeberg Mountain Retreat. 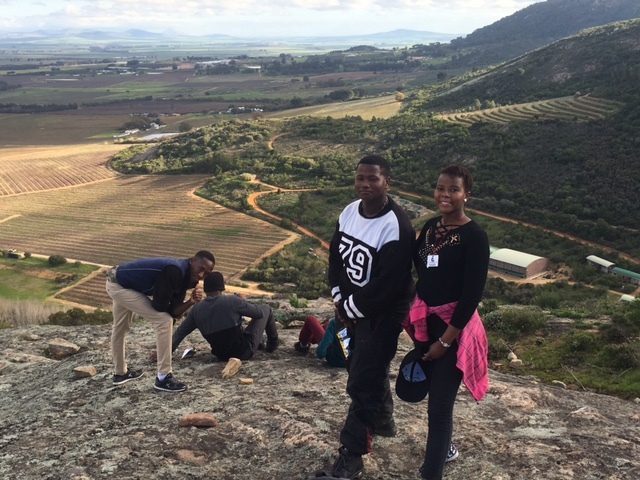 This high, mountainous area is a center for grape vineyards. The vineyards literally circle the campsite, acre upon acre. 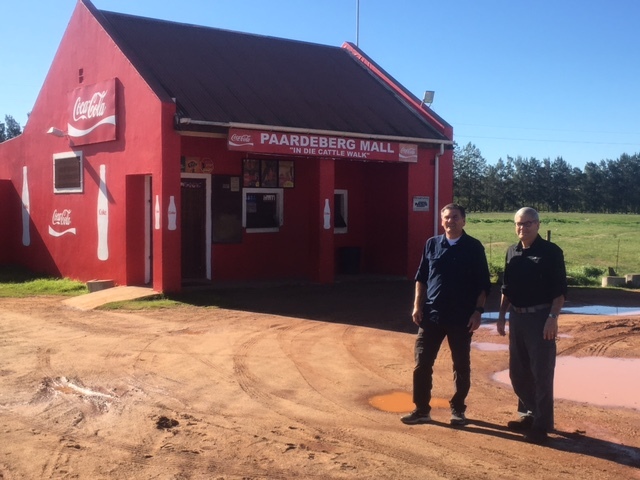 Camp is over for Dan & Ken in South Africa, but thankfully, not over for our friends at Paardeberg Mountain Retreat. 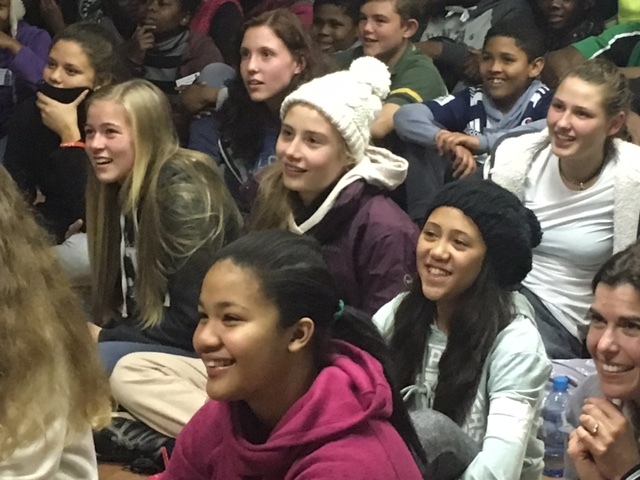 The camp staff has two more weeks of camp remaining during South African schools’ three-week Winter Holiday. Although the Summer Holiday offers a six-week break, the mostly volunteer staff at PMR does not schedule camp during this time. Reason? Extreme heat with triple-digit temperatures that can top out at 115-116 degrees, coupled with having no air-conditioned facilities, makes summer impossible at this time. 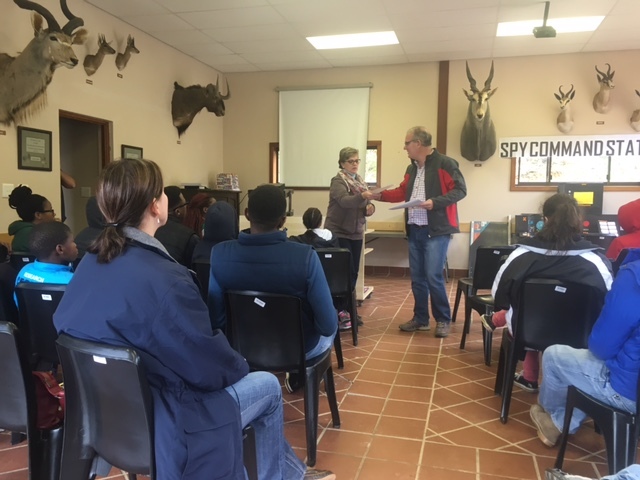 After free-flowing blessings at our 3 ½ day staff training session, our busy camp week began with a predicted heavy thunder storm which cleared up just in time for our excited staff to welcome our 80 campers, who were, themselves, looking for adventure in the outdoors. Few things sounded as beautiful as the quoting of 1 Corinthians 10:31 in a lyrical mixture of accents: British, Dutch, and African. Hearing them sing “I need the Bible, I need God’s Word,“ was a pure delight. The young people, for the most part, were in rapt attention when the Word was preached. Decisions came not in groups, but ones or twos after each service, then one or two more each day as a result of deep conversations with their counselors. 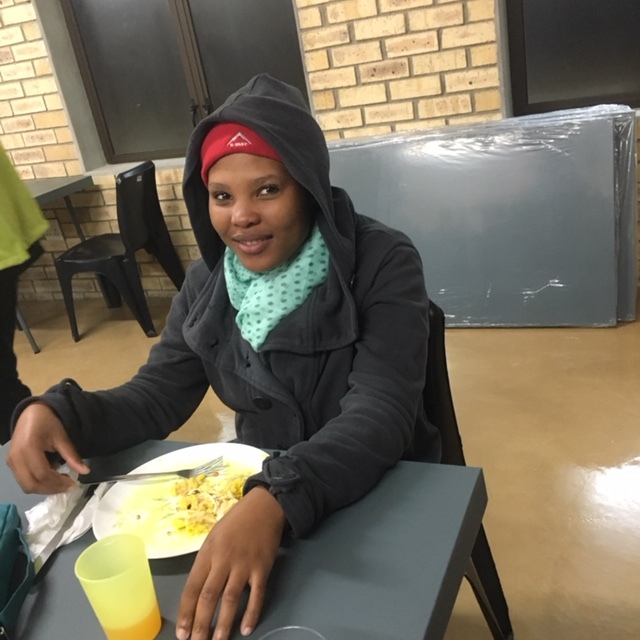 Even the puzzling occurrence of an overnight burglary of the main office and a couple of residences on the first night, was not a deterrent to the spirit of the camp. Dan and I were recipients of those early morning visitors who deftly unscrewed the latch off the door and carefully placed the latch onto the rug with the screws placed carefully in the holes. The refrigerator door was left open, but all that was taken was a package of lunch meat. My day pack was taken, but not before the sermon notes were removed from it and placed neatly and squarely on the kitchen counter top. A pair of shoes was the only other prize stolen, but the sliding glass door was left open to cool our little cabin in the 34-degree morning. The camp office, on the other hand, was totally ransacked. Camp preceded as normal, except for Malcolm McRoberts, the camp director, who had to deal with the authorities. In all, it was a little puzzling, but this has reminded all of us that we should not take for granted that incidents can happen when we engage other cultures around the world. We appreciate everyone who sacrifices to give us these amazing opportunities and we appreciate your prayers for safety as well as for God’s blessing. 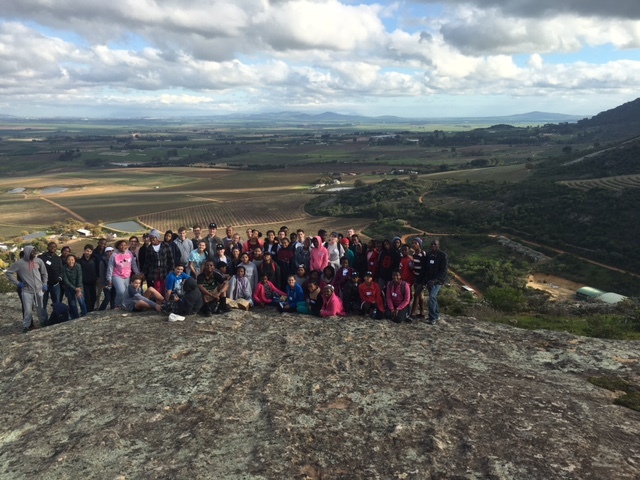 This is CampsAbroad’s second year in South Africa, which means our work is finished here. The appreciation of the all-volunteer staff of PMR for CampsAbroad is so profuse, it is almost embarrassing! But, when they recounted the many changes that have taken place in this ministry and the blessings that have followed with each change, we praise the Lord for giving us the privilege of going to help brothers and sisters like these! God bless South Africa with all of her incredible natural beauty on the outside, but may she become beautiful on the inside from the brilliant light of the gospel.